Even the most most advanced cars on the road rely entirely on a simple machine: the wheel. Where the proverbial rubber meets the road, wheel structure and function make a car move smoothly from point A to point B and back. However, this important feature of the carcomprises only a few simple parts that, despite differences in style or structure, provide essentially the same functions from wheel to wheel. The wheel's outer covering is called the tire. Typically made out of rubber, tires provide cushioned support for the weight of the car, traction control for moving and stopping, along with a replaceable barrier between rim and road. 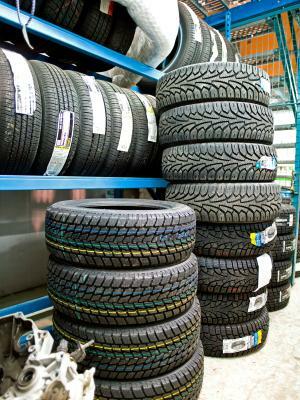 Tires come in a variety of shapes and sizes that depend on the type of car to which you attach them. The section that comes into contact with the road, called the tread area, typically contains grooves and notches that increase friction or force water and debris away from the wheel. 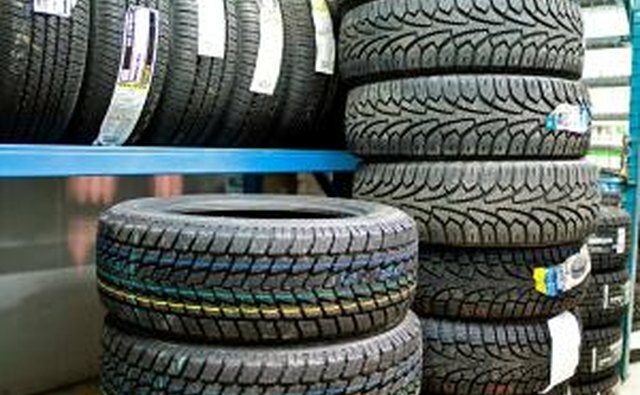 Tires are filled with pressurized air to provide the cushion support; you must fill them to a certain number of pounds per square inch (psi) depending on the road surface, type of car and type of rubber used in the tire. Most car tires list specifications on the wall (side portion) of the tire. 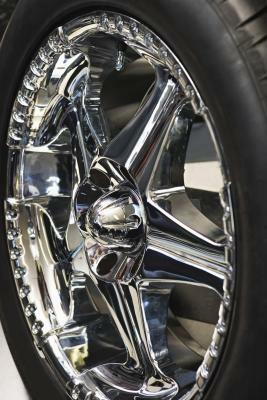 The rim of a car's wheel is the skeletal body of the tire. It supports the rubber tire, which wraps around it, and houses the hub. 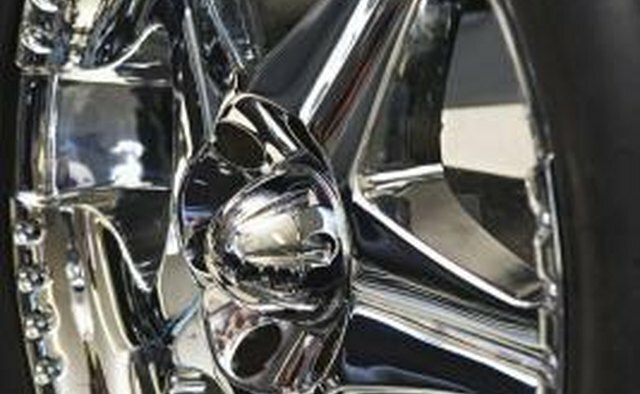 Typically made out of strong metals such as steel and aluminum, car rims come in various shapes and sizes and can range from standard rims covered by plastic hubcaps to solid "spinner" rims that have free-spinning metal attachments on the outside portion of the wheel. The width and diameter of the rim determine the size tire it can fit, though some tires are wider or more narrow than the rim for which they are made. Custom wheel rims provide aftermarket coloring, style and size options but can cost significantly more to balance, refit or repair. 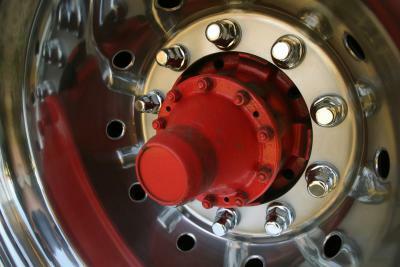 The hub is the central part of the wheel that attaches the entire wheel to the axle and the braking system. 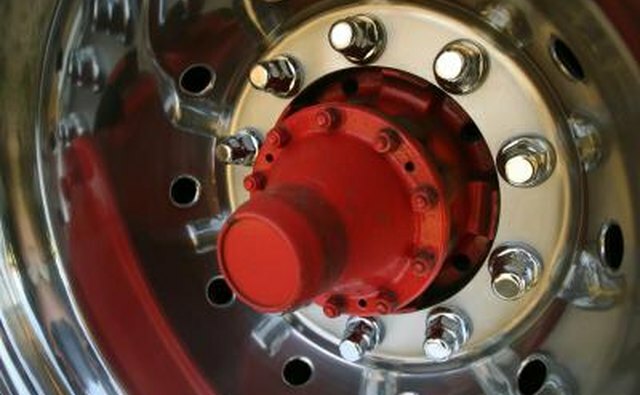 The central hole of the hub serves as the port for the axle (the long shaft that attaches two wheels) and sits in the center of the bolt circle, a series of five holes that house the bolts to which lug nuts attach (lug nuts are the closed-ended nuts that hold the wheel on the car). The brake rotors and hub assemblies rest against the wheel hub; braking action occurs against the wheel to make a car slow down or stop completely.